One of the operations that I discussed with Jenna was the Battle of Luneville in September 1944. Luneville had been a hard fought battle for the 2nd Cavalry Group. Whenever Luneville had come up in my conversations with 2nd Cavalry veterans, the conversations always took on a distinctive indescribable solemnity. In our numerous conversations, Joe had said little about Luneville beyond that it had been a tough fight. The primary focus of my research and discussions with the 2nd Cavalry veterans had been the liberation of western Czechoslovakia in the spring of 1945. After talking with Jenna, I decided to write up a short paper on the Luneville battle in honor of Joe Carpenter and the men of 2nd Cavalry Group, and the other American units that repulsed the German counter-attack at Luneville in September 1944. On 18 September 1944, the troopers of the 2nd Cavalry Reconnaissance Group [Mechanized] were occupying positions around the town of Luneville in the Lorraine region of France. Their mission was to screen the flank of XII Corps of Patton’s Third U.S. Army in the vicinity of the Moselle River. Unfortunately for the lightly armed cavalrymen, they were struck by a heavy force of German tanks that morning. Despite being outnumbered and out-gunned, the 2nd Cavalry Group troopers delayed the German offensive sufficiently to enable heavier American armored forces to respond and win a decisive victory both there and in the subsequent Battle of Arracourt during the following days. The success of the 2nd Cavalry Group in delaying the German panzer attack at Luneville was remarkable considering that such a scenario was not in accordance with U.S. Army doctrine for the employment of mechanized cavalry. Mechanized cavalry came into existence in the early years of World War Two as the Army was transitioning the cavalry from horses to vehicles. Mechanized cavalry forces were formed into squadrons assigned to armored divisions and cavalry groups attached to corps headquarters. In 1944, the Cavalry Group consisted of a Group Headquarters and two cavalry reconnaissance squadrons. The cavalry squadrons consisted of a Headquarters and Headquarters Troop, three cavalry troops, a light tank company and an assault gun troop. The Headquarters and Headquarters Troop (HHT) consisted of a Maintenance Platoon, a Transport Platoon and a Supply Section. The cavalry troops each had a Troop headquarters, and three cavalry platoons with armored cars and jeeps. The light tank company had a company headquarters and three tank platoons. The assault gun troop had a headquarters and three assault gun platoons. Mechanized cavalry units are organized, equipped and trained to perform reconnaissance missions, employing infiltration tactics, fire and maneuver. They engage in combat only to the extent necessary to accomplish the assigned mission. In reality, the employment of the mechanized cavalry oftentimes differed greatly from that set forth in the field manuals. During actual operations in the European Campaigns, mechanized cavalry was used in a wide variety of other roles including mounted and dismounted attacks, static defense, screening, covering gaps between forces, and counter-reconnaissance. Though primarily organized and equipped to perform reconnaissance missions, U.S. mechanized cavalry was frequently engaged in defensive battles and delaying actions during the European Campaigns. Two notable examples both occurred during the December 1944 German Counter-Offensive in the Ardennes region of Belgium and Luxembourg, more popularly known as the Battle of the Bulge. Two cavalry groups fought in the opening phase of the Battle of the Bulge: the 102th Cavalry Group of V Corps and the 14th Cavalry Group of VIII Corps. The two cavalry groups had much different experiences during the battle. The 102nd Cavalry Group was occupying strong defensive positions in the vicinity of Monschau, Belgium. On the morning of 16 December, they were struck by German forces supporting the main effort further south. The 102nd Cavalry troopers were able to repel repeated German attacks and hold their positions. The 14th Cavalry Group had a far different experience. The 14th Cavalry was tasked to screen the vital Losheim Gap for VIII Corps and maintaining liaison between V Corps’s 99th Infantry Division to the north and VIII Corps’s 106th Infantry Division on the Schnee Eifel (Snow Mountains) salient. VIII Corps and First U.S. Army gambled on holding this critical gap with small strong points and cavalry patrols. On the morning of 16 December, a major German attack struck the Losheim Gap. Despite a tenacious defense, the hapless cavalrymen were eventually overwhelmed. German forces were able to push through the gap, complete an encirclement of the two regiments of the 106th Infantry Division on the Schnee Eifel and make deep penetrations of the VIII Corps front. After a blazing drive across north-western France in August 1944, General George S. Patton’s Third U.S. Army struggled to maintain its offensive momentum in the Lorraine region in eastern France. Unfortunately, the Allies’s stunning August drives had far outstretched their supply lines and resulted in severe shortages of fuel and other critical supplies for their advancing armies. These shortages were acutely felt by Third Army. With the supply situation a critical determinant, Eisenhower agreed to allow a limited drive by Patton across the Moselle River with the possibility of driving on towards the Rhine River and Frankfurt. In mid-September 1944, Third Army’s XII Corps was able to push across the Moselle River and establish itself on the far side in strength. The corps paused to prepare for its continued advance eastward. The main effort would be made by the 4th Armored Division striking east from the vicinity of Arracourt. The 2nd Cavalry Group was tasked to cover the right (southern flank) of XII Corps and the 4th Armored Division. At this time, XII Corps’s attention was focused on liberating the city of Nancy, securing its positions across the Moselle River and preparing for a drive to the Rhine. The town of Luneville was not at first a priority for XII Corps. Yet in the coming days, Luneville would come to play a pivotal role in XII Corps operations. Luneville was located to the south-east of Nancy on the confluence of the Muerthe and Vezouze Rivers. To the east were two large forests: the Foret de Parroy and the Foret de Mondom. Also in the vicinity were a number of smaller villages, including Jolivet to the north and Deuxville to the north-west. In its drive to encircle and isolate Nancy, the 4th Armored Division had sent its Combat Command B near Luneville but at first had not made any efforts to liberate the town. Instead it fell upon the 2nd Cavalry Group to secure the town. As part of its efforts to screen XII Corps’s right flank, the 2nd Cavalry Group had its 42nd Squadron attack Luneville. Elements of the 15th PanzerGrenadier Division’s Reconnaissance Battalion 115 were then holding the town. On 15 September, two troops of the 42nd Squadron attacked from the south. T/4 Eugene Fehr was the radio operator in one of the M8 armored cars. During the fighting, his armored car was struck by an 88mm anti-tank shell which knocked off the right front wheel. Fehr and his crewmates dismounted to survey the damage, then immediately sought cover. Seconds later another 88mm shell struck the center of the M8 and destroyed it. Unable to overcome the German resistance, the 2nd Cavalry troopers pulled back and re-grouped. 42nd Squadron was reinforced by elements of Colonel Wendell Blanchard’s Reserve Command (CCR), 4th Armored Division. Blanchard had with him the 696th Armored Field Artillery Battalion, part of the 489th Anti-aircraft Artillery (Automatic Weapons) Battalion, part of the 35th Tank Battalion, part of the 10th Armored Infantry Battalion and Headquarters and B Companies of the 704th Tank Destroyer Battalion. The next day, the combined force launched a three-prong attack on Luneville. The Squadron’s C Troop attacked from the west while B Troop attacked from the south-east and CCR attacked from the northwest. B Company of the 704th Tank Destroyer Battalion covered CCR’s left flank north-west of the city. In this fight for Luneville, the 35th Tank Battalion was operating without its B and C Companies which had been detached for service elsewhere. The battalion was positioned initially in the village of Deuxville then moved to occupy some high ground northwest of the city. Though the 35th Tank Battalion force did not participate in the liberation of the city, it did repel a German counter-attack. They destroyed two German half-tracks and three anti-tank guns at a cost of one M4 Sherman medium tank, two men killed and fifteen wounded. While most of B Troop, 42nd Squadron was engaged in the Luneville fight, Sgt James Hart’s section of 1st Platoon was sent to the west side of the Muerthe River to set up an outpost on a road leading to Luneville. At one point, a column of German panzers and infantry advanced up the road. Sgt Hart’s men opened fired at close range, killing a number of Germans and a tank commander. The Germans withdrew. But it would be another four days before his section were reunited with their parent troop. The Americans pushed the Germans out of Luneville by late afternoon and Reserve Command assumed responsibility for the city. The Germans had 75 men killed and another 18 taken prisoner. The following day, the 2nd Cavalry Group assembled in the vicinity of the Foret de Mondon, with its A Troop, 42nd Squadron screening in the forest to the south-east and B Troop covering the southern approaches to Luneville. Also on 17 September 1944, the 35th Tank Battalion endeavoured to clear German forces from the vicinity of Jolivet and the Foret de Parroy. One platoon of A Company attacked Jolivet and knocked out two anti-tank guns at a cost of one medium tank. Meanwhile, D Company conducted a sweep which accounted for one anti-tank gun and a half-track. They also captured fifteen prisoners from the Reconnaissance Battalion 115. Altogether, German casualties in this sector were three anti-tank guns and one half-track destroyed, 75 killed and 81 prisoners taken with another half-track probably knocked out. In return, the Americans suffered two killed, fifteen wounded and a M4 tank knocked out. But the Germans were not done with Luneville yet. Over the next day or so, they managed to infiltrate a large number of troops back into the city. By the night of 17 September, there were enough Germans in Luneville to create the mistaken impression amongst the German commanders that they had in fact recaptured the city. While XII Corps was preparing for its next advance, the German Fuerher Adolf Hitler, the German High Command (Oberkommando Wehrmacht) and the German Army Command in the West (Oberfehlshaber West) believed that there was an opportunity to strike a counter-attack against the advancing American forces. The Fifth Panzer Army headquarters was re-located to the Lorraine region and General Hasso von Mantueffel, a highly competent veteran commander from the Eastern Front, was placed in command with orders to carry out the ambitious counter-attack. The plan was for a concentric attack to cut off the U.S. 4th Armored Division. Vigorous efforts were made to hastily assemble the necessary forces. In a few days, Fifth Panzer Army included the LVIII Panzer Corps, XLVII Panzer Corps, 11th Panzer Division, 21st Panzer Division, 15th PanzerGrenadier Division, and the 107th, 108th, 111th, 112th and 113th Panzer Brigades. Few of these units were at full strength in terms of tanks and infantry. The panzer brigades had sizeable complements of new panzers but their crews were not fully trained. The army was most deficient in artillery. “The Order of Battle looked impressive, but Mantueffel’s actual striking power was very small,” wrote Generalmajor Friedrich von Mellenthin, who served as Chief of Staff for Army Group G around this time. Upon assuming command, General von Mantueffel realistically appraised the situation and concluded that Fifth Panzer Army was too weak to carry out the ambitious German plan. Pulling off this attack would also require a major shifting of German forces in this area, something which could not be completed by the date set for the counter-attack. “Hitler’s great error was to insist on the counter-attack being delivered before all available forces were assembled,” wrote Generalmajor von Mellenthin. Nevertheless, von Mantueffel endeavored to carry out orders that he knew could not be accomplished. The LVIII Panzer Corps would strike the 4th Armored Division from the north. At the same time, the XLVII Panzer Corps with its 111th and 112th Panzer Brigades and 21st Panzer Division would strike from the south northward through Luneville to Nancy and cut off XII Corps’s penetration. The 11th Panzer Division had not arrived yet in the area to be used for the initial counter-attacks. There were some indications to the Americans that the Germans were massing tanks for an attack. However, American intelligence believed that any such attack would be made against the nearby Seventh U.S. Army and Patton was eager to resume the advance eastward. On paper, the Battle of Luneville should have been an easy victory for the Germans. Elements of the 2nd Cavalry Group faced off against strong armored forces of the Fifth Panzer Army. The 2nd Cavalry Group consisted of the 2nd and 42nd Cavalry Squadrons. They were equipped with machine guns, jeeps, M8 armored cars and M8 assault guns. The armored cars mounted a small 37mm gun while the assault guns had a short-barrelled 75mm howitzer. They did not have any weapons capable to taking out the heavy German panzers employed by the Fifth Panzer Army. The Fifth Panzer Army’s attacks on XII Corps would be conducted by its panzer brigades. The brigades boasted new Panzerkampfwagen V Panther tanks. Originally introduced on the Eastern Front in 1943, the Panther was the finest medium tank produced during the war. It mounted a high velocity 75 mm gun and was protected by thick sloping armor that could deflect enemy projectiles. The brigades also included the older, less capable Panzerkampfwagen IV, or Mark IVs, with a thinner armor and a less lethal 75 mm gun. Fortunately, the Reserve Command of 4th Armored Division was located to their north-west in and around Luneville. Reserve Command had M4 medium tanks with 75mm guns, M18 self-propelled tank destroyers with 76mm anti-tank guns, M7 self-propelled 105mm howitzers and half-tracks mounting fifty-caliber machine guns for air defense. Despite being outnumbered and outgunned, the 2nd Cavalry Group had certain leadership advantages that contributed immeasurably to the outcome of the battle. The commanding officer of the 2nd Cavalry Group was Colonel Charles H. Reed. Reed was one of the outstanding American armor officers of the war. He was a Regular Army officer and graduate of the U.S. Military Academy. In January 1943, the 2nd Cavalry Group was activated under his command. His personal leadership would prove to be a decisive factor in the battle. The commander of 42nd Squadron, Major James H. Pitman, was also a USMA graduate and one of the original staff officers of the Group. Both he and his Executive Officer, Capt. W. E. Potts were also very competent combat commanders. On the morning of 18 September, the 111th Panzer Brigade was assembled in the vicinity of Baccarat. The total strength of the brigade was around 2,000 men. It consisted of 2111 PanzerGrenadier Regiment, 2111 Panzer Regiment with a battalion each of Panthers and Mark IV panzers, a reconnaissance battalion and an engineer company. Most importantly, the brigade included 17 new Panther panzers, and 40 assorted vehicles. Also, the depleted but still potent 21st Panzer Division was within supporting distance to the south. To the north, the 113th Panzer Brigade was to attack at 1100. At around 0600, the 111th Panzer Brigade began advancing up the highway to Luneville. Around 0700, the lead element consisting of seven Panther tanks and supporting infantry struck the forward outposts of A Troop. The German commanders mistaken believed that Luneville was being held by units of the 15th PanzerGrenadier Division so the presence of U.S. cavalrymen on the outskirts of the city came as an unwelcome surprise. The outnumbered U.S. cavalrymen fought a brief delaying action before retiring out of the way of the heavy German force. Their delaying action, however, gave Colonel Reed sufficient time to send forward C Troop, the six assault guns of E Troop under Captain Welsh and F Troop’s 3rd Platoon with its M5 light tanks to set up an ambush on the road leading to Luneville. Among those serving in C Troop was Staff Sergeant Joseph Carpenter of Brooklyn, New York. Carpenter had served with C Troop since the 2nd Cavalry Group had arrived in Normandy back in July 1944. The remaining platoons of F Troop were sent to cover other approaches to Luneville. Led by Col. Reed and Major James Pitman, the U.S. cavalrymen successfully sprung their ambush on the advancing German panzer / infantry force at 0800. At a range of 500 yards, E Troop’s six assault guns opened fire on the surprised German Panthers. “Although many direct hits were obtained, they just bounced right off,” recalled 1st Lt Charles E. Harris. 2nd Lt A. L. Wessling was in command of two of E Troop’s M8 assault guns on Highway 59 outside Luneville. He stood outside his vehicle observing the terrain. First a M8 armored car and then a jeep barrelled past him. The jeep’s driver shouted for him to fire because German panzers were coming up the road behind him. As the young lieutenant watched the German panzers move into position, he thought, “Wessling, somebody is going to win this fight and it won’t be you!” Wessling ordered his guns to fire. Soon after, Wessling was wounded by a Panther’s 75mm shell that impacted ten yards from him. He ordered his assault guns into a better position on the opposite side of the road then went back to report to his troop commander. Seeing the bloodied lieutenant, Capt Welsh ordered him evacuated for medical treatment. While the American light armored vehicles were engaging the German panzers, the rest of C Troop was fighting dismounted against the accompanying German infantry. The dismounted cavalrymen were able to achieve better success against the infantry than against the German armored vehicles. The fighting between the cavalrymen and the Germans was fierce. The American assault guns scored a mobility kill of one Panther by knocking out one of its tracks. In return, the Germans knocked out three assault guns, an armored car and two jeeps. Several cavalrymen were killed including Major Pitman. Corporal Lawrence R. Campbell, a gunner on one of E Troop’s assault guns, was killed when a German tank shell pierced the turret of his vehicle. Colonel Reed was severely wounded and evacuated. Capt. W. E. Potts, Squadron Executive Officer, assumed command of the beleaguered 42nd Cavalry Squadron. Ultimately, the German panzers were able to break through the thin American line at around 1100 and press on towards Luneville. The surviving American vehicles and their infantry escaped into the nearby forest. From here, the Americans fought off the German infantry all afternoon. Meanwhile, F Troop’s 1st Platoon was defending a bridge and a crossroads leading into Luneville. T/4 Frank Gernonimo was in one of those tanks tasked with covering the bridge. “We were receiving frequent and accurate artillery fire as the enemy already had the road zeroed in,” he later recalled. The Group Headquarters, 2nd Cavalry Squadron and part of A Troop, 42nd Squadron all used this bridge to escape into Luneville ahead of the advancing Germans. Afterwards, Gernonimo and the tanks defending the bridge also pulled back into Luneville. After the Germans broke through the cavalry screen, the Battle of Luneville split into two distinct engagements: a battle in the woods between the 2nd Cavalry and German infantry and a German attack on Luneville itself which was held by elements of Reserve Command of the 4th Armored Division. By late afternoon, the 42nd Cavalry Squadron was nearly surrounded but holding onto its positions. The situation was very tenuous. “We didn’t know to what extent the enemy had advanced and the route we had planned to use for escape was cut off,” recalled 1st Lt Harris. Fortunately, an American artillery spotter plane located an undefended trail. Using this trail, the cavalrymen attempted to escape the German encirclement. On the east side of the forest, they met up with the cavalrymen of A Troop, who had been forced out of their positions further east by the Germans. Together, the re-united force located another undefended trail out of the forest and used it to get to Highway 4 some four miles east of Luneville. Here they joined up with two platoons of B Troop and continued to Luneville. The next obstacle to overcome came in the form of a railroad bridge. The Germans had the bridge covered by artillery and small arms fire. The cavalrymen were able to locate the German positions and called down friendly artillery fire on them. Covered by the American artillery barrage, the cavalrymen rushed their vehicles two or three at a time over the bridge and onto into Luneville. In Luneville, they joined up with elements of the 4th Armored Division and with the remainder of the 2nd Cavalry Group. Having broken through the cavalry screen in the morning, the German Panthers, reinforced by elements of the 15th PanzerGrenadier Division, pressed on to Luneville. The initial assault forced elements of 4th Armored’s Reserve Command from the south-eastern part of the town back into its center and northern part. Most of Reserve Command’s strength was located outside the town. In addition, the 113th Panzer Brigade was now heading towards Luneville from the east in the vicinity of Vezouse River. The American commanders reacted quickly to the German counter-attack. In mid-morning, A Company of the 35th Tank Battalion moved into blocking positions north-west of Luneville. The rest of the battalion took up blocking positions north-east of Deuxville. Forced to withdraw by the German advances, the 2nd Cavalry Squadron joined up with Reserve Command in the eastern part of Luneville. B Company, 704th Tank Destroyer Battalion sent its 3rd Platoon into Luneville and its 1st Platoon to reinforce the 10th Armored Infantry Battalion positions north of the town. Combat Command A (CCA) of 4th Armored Division was ordered to dispatch a task force to reinforce Reserve Command and the 6th Armored Division’s Combat Command B (CCB) was ordered from the area east of Nancy to Luneville as well. Further support was ordered from the 183rd Field Artillery Group’s 273rd and 738th Field Artillery Battalions. The latter was equipped with massive 8-inch howitzers capable of firing a 200-pound artillery shell over 18,510 yards. CCA 4th Armored Division immediately began forming a task force to help repel the German panzer attack. Named Task Force Hunter after its commander, this force consisted of A Company of the 37th Tank Battalion, B Company of the 53rd Armored Infantry Battalion, C Battery of the 94th Armored Field Artillery Battalion, and 1st Platoon, E Company of the 704th Tank Destroyer Battalion. TF Hunter started out for Luneville at 1300 and arrived at an assembly area northwest of the town three hours later. The arrival of Task Force Hunter and the additional tank destroyers and field artillery enabled Reserve Command to attack to re-take the lost section of Luneville. In and around Luneville, the various American units engaged the Germans. Aided by one of its forward observers located in a house in Luneville, C Battery of 94th Armored Field Artillery Battalion fired 105mm shells at German infantry, vehicles and anti-tanks guns in the streets of the town. Infantrymen from the 53rd Armored Infantry Battalion and tanks of the 35th Tank Battalion attacked to drive out the Germans. A Company, 37th Tank Battalion remained as a mobile reserve in Deuxville. The big 8-inch howitzers of the 738th Field Artillery Battalion went into position just two miles west of Luneville. The battalion commander, Col. William Garrison, and the Executive Officer Major Horace Frierson went forward to a hill that incidentally had a World War One monument atop it. This monument provided convenient protection for Garrison and Frierson when the Germans started shooting at them. From their vantage point, Garrison and Frierson were able to observe retreating U.S. vehicles and German anti-tank guns firing at them from a section of woods. Immediately recognizing the danger, Garrison ordered his howitzers to fire on the German anti-tank guns. The range to the targets was only 1,500 yards. For howitzers designed to fire at targets over 18,500 yards away, this was far, far less than the range they normally fired at. The shells from the American big guns quickly neutralized the German anti-tank guns. Around 1630, General Patton visited XII Corps Headquarters and was briefed on the situation at Luneville. Patton was unconcerned about the German counter-attack. He was still focused on the upcoming drive on the Rhine River. In the midst of the fighting, German communications broke down. By this point, the 111th Panzer Brigade and elements of the 15th PanzerGrenadier Division had fought their way into the southern part of Luneville. Mistakenly assuming that the Americans had been driven completely out of Luneville, LVIII Panzer Corps Headquarters ordered the 113th Panzer Brigade to disengage from the battle around Luneville and head north. By nightfall, the strength of the German attack on Luneville had dissipated significantly. Heavily pressed by the American reinforcements, the Germans gave up their earlier won gains. After darkness fell, General von Manteuffel ordered the 111th Panzer Brigade to retire from Luneville and reform at Parroy. Around 2000, elements of the 10th Armored Infantry Battalion and 42nd Cavalry Squadron both entered the southern part of Luneville from different directions and found that the Germans had retreated. Defensive outposts were set up on the outskirts of Luneville and a coordinated defense was set up by Reserve Command and Task Force Hunter. After realizing how vulnerable the 738th Field Artillery’s big howitzers were at their present location, Third Army headquarters ordered them moved further to the rear. “If Luneville is taken during the night, Jerry will be looking down the throat of our entire battalion which is only two miles west of Luneville itself,” 1st Lt John H. Daniels wrote in his diary. With herculean efforts, the battalion’s soldiers relocated to the rear. “How those canoneers manhandled and bulldozed their fifteen-tons howitzers out of positions axle deep in mud will always be a mystery,” wrote Lt. Daniels. By nightfall, the Americans had amassed a considerable mixed force of armor, infantry, cavalry and artillery in Luneville and its vicinity. Detachments of the 10th Armored Infantry Battalion were holding the high ground north-east of Luneville. Most of the 35th Tank Battalion was in and around the town along with a company of the 53rd Armored Infantry Battalion from Task Force Hunter. On the high ground between Luneville and Deuxville were D Company, 35th Tank Battalion, and elements of the 704th Tank Destroyer Battalion and 10th Armored Infantry Battalion. A Company, 37th Tank Battalion of Task Force Hunter was in reserve west of Deuxville. The Germans made sporadic attacks throughout the night. To the east of Luneville, 3rd Platoon, B Company, 704th Tank Destroyer Battalion knocked out three Panther panzers. Nevertheless, the American position at Luneville was not seriously threatened. The following day, both the Americans and Germans shifted their forces in reaction to the past several days of fighting. The Germans abandoned efforts to capture Luneville. Instead, the 111th Panzer Brigade was shifted to support the 113th Panzer Brigade’s advance near Arracourt while the 15th PanzerGrenadier Division went on the defensive to hold the line near Luneville. Meanwhile, CCB of the 6th Armored Division arrived in the Luneville area and relieved Reserve Command of the 4th Armored Division by 1800. Thus relieved, Reserve Command headed north and went into an assembly twelve miles north near Serres. On the morning of 19 September, Major Hunter learned by radio that the Germans were attacking CCA, 4th Armored near Arracourt. He immediately requested permission to detach from Reserve Command and return to his parent command. The XII Corps commander Major General Manton Eddy happened to be on scene and so he gave permission. Major Hunter left B Company, 53rd Armored Infantry in Luneville and then raced north with A Company, 37th Tank Battalion and C Battery, 94th Armored Field Artillery Battalion. They arrived in time for A Company to assist B Company of its parent battalion in the final stages of repulsing a German panzer attack. B Company, 704th Tank Destroyer Battalion remained in and around Luneville for most of 19 September until it left with the rest of Reserve Command. In the morning, 3rd Platoon knocked out a Panther, a self-propelled gun, and a heavy machine gun and took five prisoners. Early in the afternoon, the Battalion headquarters area in Luneville was struck by German mortar fire. The battalion commander, Lt. Colonel William A. Bailey, was killed along with one other officer and six enlisted men. Another officer and sixteen enlisted were wounded in the barrage. For four days, battle had raged in and around the town of Luneville. First the Americans had seized the town and then fought off several German attempts to retake it. Altogether, Luneville had been costly for the Germans. They lost 13 panzers, 16 large calibre guns and 232 miscellaneous vehicles. They had also suffered 1,070 killed or captured. The Americans, too, had sustained losses. The 18 September battle had cost 2nd Cavalry Group three assault guns, an armored car and a jeep, as well as severely wounding its commanding officer and killing the commander of its 42nd Squadron. Reserve Command, 4th Armored Division lost three killed, fifteen wounded and four tanks. The 704th Tank Destroyer Battalion lost its commanding officer and seven other members. The Germans had expected to drive through Luneville and strike a decisive blow against the American XII Corps flank. They had not anticipated running into the 2nd Cavalry Group. The stubborn delaying action by the cavalrymen had three important effects. First, it enabled Colonel Reed to pull back his 2nd Squadron and the rest of 42nd Squadron into Luneville and prevent the annihilation of his command. Second, it enabled the 4th Armored Division to reinforce Luneville and thus stop the German counter-attack at this point. Lastly, the delaying action severely disrupted the German counter-attack plan and forced them to shift their counter-attack to the north and east. In doing so, they ran straight into Combat Commands A and B of the 4th Armored Division. For the next several days, the 4th Armored Division fought a brilliant defensive battle against units of the Fifth Panzer Army, effectively destroying several of them in the process. “At Arracourt, the 4th Armored proved that it was as tough on the defensive and in the counter-attack as on the offensive, claiming the destruction of 281 German tanks, three thousand enemy killed, and another three thousand POWs,” wrote Patton biographer Carlo D’Estes. The Battle of Luneville was a costly affair. Colonel Reed later stated, “We had one of our worst times at Luneville.” Nevertheless, the courageous actions of the outnumbered 2nd Cavalrymen delayed the German counter-attack sufficiently to enable heavier American armored forces to respond to the threat and neutralize it. Over the next several days, the 4th Armored Division and supporting units fought one of its most decisive battles. Their victory was in part attributable to the stubborn and skilful defense of some outnumbered U.S. cavalrymen near the town of Luneville. I had the pleasure of knowing Joe Carpenter and his wife Ellin for several years before they passed away earlier this century. I even accompanied them to the annual reunion of the 2nd Cavalry Association in October 2001. They were two of the nicest people I’ve ever known. Joe had served our country with honor and distinction during a time of great peril. Yet, like so many others of the Greatest Generation, Joe never acknowledged that he had done anything heroic or extraordinary. To him, he was just doing his job. May God bless him and Ellin for all eternity. Robert Stewart Cameron, Mobility, Shock and Firepower: The Emergence of the U.S. Army’s Armor Branch 1917 – 1945. Washington DC: Center of Military History, 2008. See Chapter 14.; See also U.S. War Department. Field Manual 2-20. Cavalry – Cavalry Reconnaissance Troop Mechanized. 24 February 1944. Hereafter cited as FM 2-20.; Major Louis A. DiMarco, USA. The U.S. Army’s Mechanized Cavalry Doctrine in World War Two. Masters Thesis. U.S. Army Command and General Staff College, Fort Leavenworth, Kansas. June 1995. DiMarco retired as a lieutenant colonel and is now a professor at the Command and General Staff College. Quoted in Cameron, p. 474. Ibid. ; Major DiMarco’s Masters Thesis examines the development of mechanized cavalry doctrine and its actual application in World War Two. For a more detailed description of the Ardennes battles, see Charles B. MacDonald, A Time for Trumpets. NY: William Morrow & Co, 1985.; Hugh M. Cole’s The Ardennes: The Battle of the Bulge. In the Series The U.S. Army in World War II. Washington DC: Center for Military History, 1965.; and John Toland’s Battle: Story of the Bulge. NY: Random House, 1959. 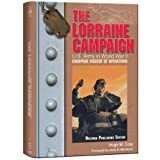 Hugh M. Cole’s The Lorraine Campaign. In the Series The U.S. Army in World War II. Washington DC: Center for Military History, 1950, pp. 209-214. To avoid confusion with his previously cited work on the Battle of the Bulge, this work is being cited by its title. The Lorraine Campaign, pp. 209-212.; The words “a bridge too far” were used by British Lt. Gen. Frederick Browning, deputy commander of the First Allied Airborne Army, in voicing his concerns to Montgomery about the operation being too ambitious. Cornelius Ryan later used the phrase as the title of his epic account of the operation, which was later made into a movie of the same name. DiMarco, p. 94.; The Lorraine Campaign, pp. 209-212.; Dr. Christopher R. Gabel. The 4th Armored Division in the Encirclement of Nancy. Fort Leavenworth, KS: Combat Studies Institute – U.S. Army Command & General Staff College, April 1986. This provides a general overview of 4th Armored Division’s operations in this area during September 1944.; Lt. Col. George Dyer. XII Corps: Spearhead of Patton’s Third Army. Privately published by the XII Corps Historical Association, 1947. Dyer served as a Special Assistant Chief of Staff for XII Corps.
. Ibid. ; Dyer, p. 212. Dyer draws upon the XII Corps After Action Report and an account by Capt. Charles E. Harris of 42nd Squadron for his account of the Luneville battle.
. Ibid. ; U.S. Army. Third U.S. Army. XII Corps. 4th Armored Division. 704th Tank Destroyer Battalion. After Action Report for 1 September to 30 September 1944. 19 March 1945. Record Group 407. National Archives and Records Administration. Archives II – College Park, Maryland. Hereafter cited as 704th TD AAR. ; Major Richard H. Barnes, USA. Arracourt – September 1944. Masters Thesis. U.S. Army Command and General Staff College, Fort Leavenworth, Kansas. June 1982, pp. 54-6. For his thesis, Major Barnes drew heavily on the after action reports of several participating units obtained at the National Archives and elsewhere. ; The Combat Command of a U.S. armored division typically consisted of a battalion each of tanks, armored infantry and self-propelled artillery and attachments of combat engineers, tank destroyers, medics, and self-propelled anti-aircraft artillery. 4th Armored Division, however, primarily used its CCA and CCB as its manuever forces and thus Reserve Command was typically under strength in comparison.
. Ibid. ; Dyer, p. 212.
. The Lorraine Campaign, p. 220.; Barnes, p. 59.
. The Lorraine Campaign, pp. 215-217.; Barnes, pp. 58-9.; Generalmajor Friedrich von Mellenthin. Panzer Battles: A Study of the Employment of Armor in the Second World War. Trans. by H Betzler. Ed. By L C F Turner. NY: Ballantine Books, 1971, p. 377.
. Ibid. ; von Mellenthin, p. 377.
. Dyer, pp.218-219. ; DiMarco, p. 94.
. Several of the primary sources mention that German Tiger panzers were present during the Battles of Luneville. Most often this was a case of mistaken identity as these reported Tigers were actually Panthers.
. The Lorraine Campaign, p. 220.; 111th Panzer Brigade’s strength is listed in Barnes, p. 61 and p. 175.; Also consulted for this paper were Major Arthur L. Lambert and Captain G. B. Layton’s The Ghosts of Patton's Third Army: A History of the Second US Cavalry. Munich, Germany: Muenchner Graphische, 1945 and The Ghost's of Patton's Third Army: A History of the Second US Cavalry (Group): Central Europe, Normandy, Northern France, Ardennes, Rhineland. Munich, Germany: Muenchner Graphische, 1946. These are two different works privately printed by the 2nd Cavalry Group Association. The first is a large book while the second is a short booklet.
. Ibid. ; Dyer, p. 212.; DiMarco, p. 95.
. Ibid. ; 1st Lt Harris is quoted on p. 212.
. The Lorraine Campaign, pp. 220-1.; Dyer, p. 212.; DiMarco, p. 95.; Major Pitman was buried at the Lorraine American Military Cemetery in St. Avold, France. He left behind a wife Theodosia and a 15-month-old son James in Pennsauken, NJ. Corporal Campbell was originally from Missouri. According to the American Battle Monuments Commission website www.abmc.gov , Cpl Campbell is officially listed as Missing in Action and his name is inscribed on the Tablet of the Missing at the Lorraine American Military Cemetery. Both Pitman and Campbell were recipients of the Silver Star.
. The Ghost's of Patton's Third Army, pp. 7-9.
. The Lorraine Campaign, pp. 220-1.; Barnes, pp. 61-63.
. Barnes, pp. 65-66.; The Lorraine Campaign, pp. 220-1.; U.S. Army. Third U.S. Army. XII Corps. 183rd Field Artillery Group. 738th Field Artillery Battalion. Staff Sergeant John Rodosevich. The History of 738th Field Artillery Battalion. Privately printed by the author and re-printed by John H. Daniels of the battalion in 1998.
. Ibid. ; U.S. Army. Third U.S. Army. XII Corps. 4th Armored Division. Combat Command A. 37th Tank Battalion. Battalion Diary. 15 October 1944. RG 407. National Archives and Records Administration, College Park, Maryland. Hereafter cited as 37th Tank Bn Diary.
. War Diary, pp. 35-36.
. Barnes, p. 66.; 704th TD AAR.
. The Lorraine Campaign, pp. 220-1.
. 37th Tank Bn Diary, p. 9.
. 704th TD AAR, p. 2.; According to the American Battle Monuments Commission website, Lt Col Bailey is buried at the Lorraine American Military Cemetery in St. Avold, France. He was the recipient of the Silver Star.
. 704th TD AAR, p. 2.; Barnes, p. 66.
. The Lorraine Campaign, pp. 222-232.; DiMarco, pp. 95-96.
. The Lorraine Campaign, pp. 222-232.; Carlo D’Estes. Patton: A Genius for War. NY: Harper Collins, 1996, p. 663.; 37th Tank Bn Diary, p. 10.; See also Dr. Gabel’s The Fourth Armored Division in the Encirclement of Nancy.
. Quoted in Dyer, p.212. Copyright © 2012 Bryan J. Dickerson.